We found some red bell peppers on sale recently, so I looked around for ideas and stumbled upon this recipe on Bon Appetit. I must have been in a rush or something because I totally didn't see the picture. I find myself working off just the text or memory when I'm cooking, and since I like to improvise and edit as I go along, my final product usually differs, sometimes significantly, from the original. But, isn't that part of the fun? 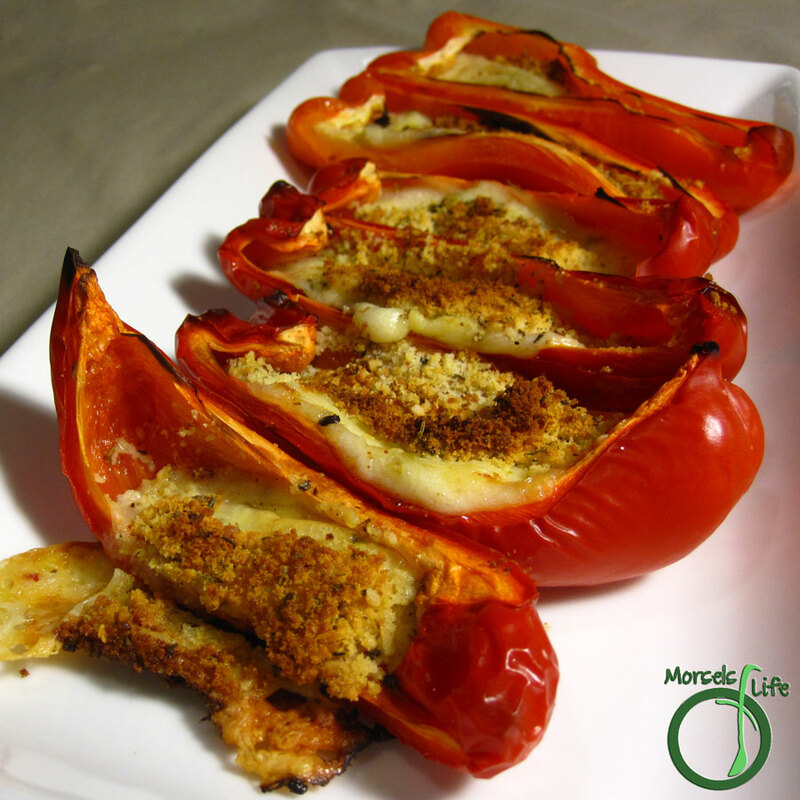 For example, I thought about stuffed peppers when making these Parmesan Peppers, so instead of mixing everything up, I ground some pepper onto each red pepper segment and then filled with cheese. But then, thinking about it, I wanted a more melty cheese topping, so I threw in some Pepper Jack and topped with the Parmesan mixture. From there, it's just some oven time and then they're ready to serve! These peppers are great for parties since they're so easily scalable - not to mention easy and scrumptious! Do you usually follow a recipe exactly or do you make your own modifications? Cut pepper into wide strips. Place sliced peppers, skin side down, onto a baking sheet. Mix garlic, thyme, and Parmesan cheese together. Place a layer of Pepper Jack on each pepper slice, and then top with Parmesan mixture. Bake at 425F until cheese melted and peppers slightly charred. Featuring this on my Must Try Mondays feature post tomorrow! These look and sound very yummy.